Main Phase: Pay 3 action tokens to gain control of an opposing Friend and turn this card over. 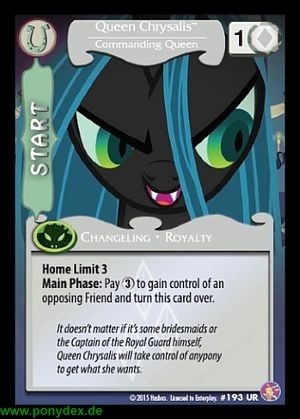 It doesn't matter if it's some bridesmades or the Captain of the Royal Guard himself, Queen Chrysalis will take control of anypony to get what she wants. 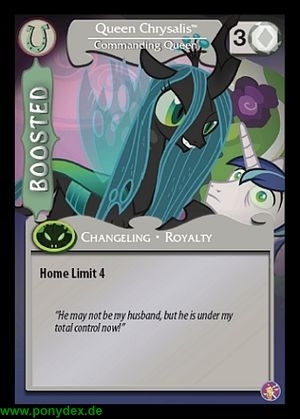 "He may not be my husband, but he is under my total control now!"